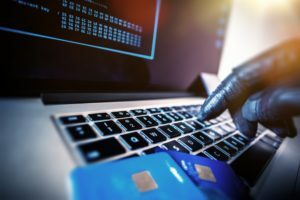 If you have been charged with a theft or fraud offense in Essex County, New Jersey, it is critical to have an experienced criminal defense lawyer on your side. Some people do not realize that they have been accused of a theft offense until well after the fact. That’s because the New Jersey Criminal Code classifies many different offenses as “theft crimes.” Basically, anytime another person’s property or money is involved, there is the potential for you to be charged with theft or fraud. Worse yet, the consequences of a theft crime conviction are severe. Not only could you be looking at significant prison time and heavy fines; you could also end up with a permanent criminal record. The criminal defense lawyers at the Tormey Law Firm have years of experience handling theft crime cases throughout Essex County, NJ, including Orange, Irvington, Bloomfied, Montclair, and Belleville. 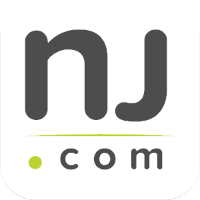 The firm’s founding partner, Travis J. Tormey, previously worked for two of the largest law firms in New Jersey. Additionally, our litigation team includes a former county and municipal prosecutor, which gives us an insider’s perspective and helps us strategize in these kinds of cases.Call the Tormey Law Firm now at 201-654-3464 to discuss your theft charges with a member of our litigation team. You can also view examples of our Successful Outcomes in Theft Crime Cases. If you have been accused of one of these crimes in the Essex County NJ area, it is imperative that you speak with an attorney as soon as possible. The Tormey Law Firm is a criminal defense team with years of experience and a commitment to providing clients with the best possible defense against theft crime charges in Essex County and throughout New Jersey. Call us day or night at 201-654-3464, or fill out the online contact form to schedule a meeting at our Newark office about your fraud or theft case.